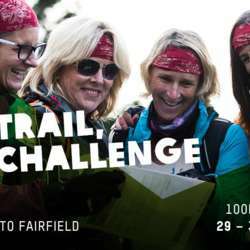 Oxfam Trailwalker is an inspiring and challenging event that changes lives, and every step you take helps raise vital funds to support people living in poverty. You’ll be part of a global phenomenon where ordinary people achieve something extraordinary and make a lasting difference by supporting Oxfam’s work around the world. You and three mates will journey through 100km of bush trail within 48 hours. It’s not a relay. Your team has to start together, stick together and finish together — it’s tough, but with the right training and attitude you’ll be amazed at what you can achieve. The feeling when you cross the finish line will be something you’ll never forget.